Was born in Hallein near Salzburg in 1983, is working as a freelance writer and editor, and has a weekly column in an Austrian newspaper. Since 2009, she hosts the literary blog. 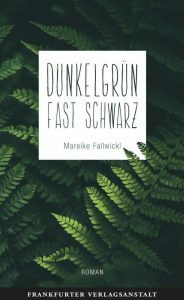 For her literary debut »Dark Green Almost Black« (FVA 2018), she has been offered a scholarship from The Federal Chancellery Austria. Mareike Fallwickl is living in Salzburg.